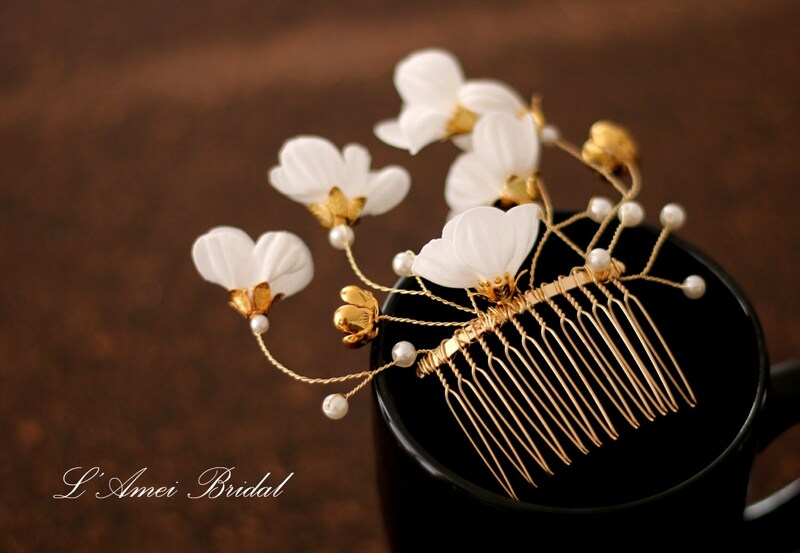 I have designed and created this unique set , soldering gorgeous vintage flowers and settings together and accenting it with vintage leaves. 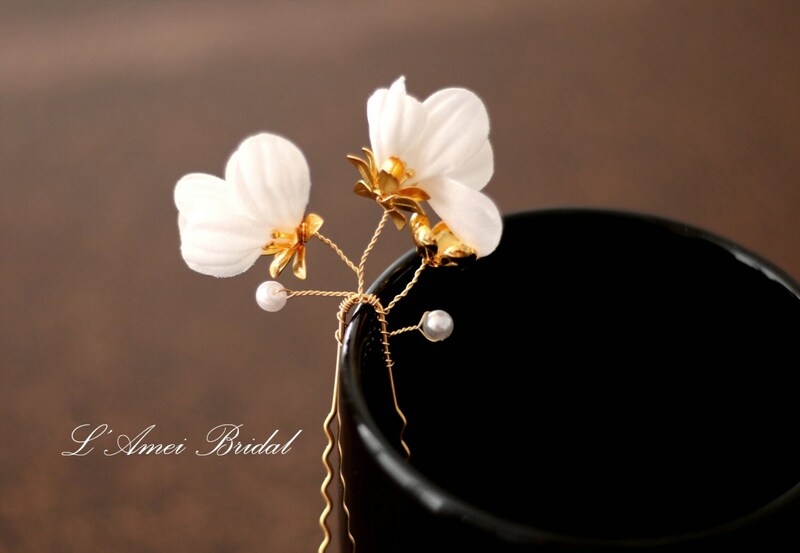 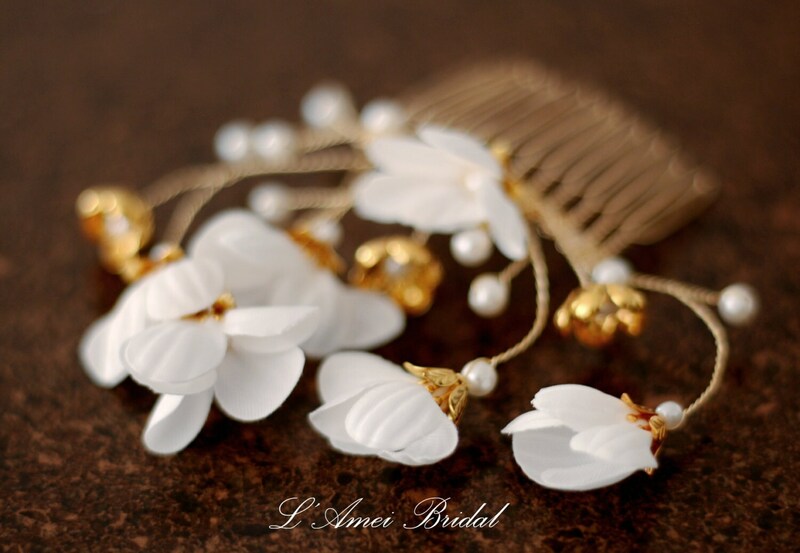 I have had this set beautifully matte rose gold plated and hand set each pearl and crystal, and hand finished the flower stamens to accent them prettily. 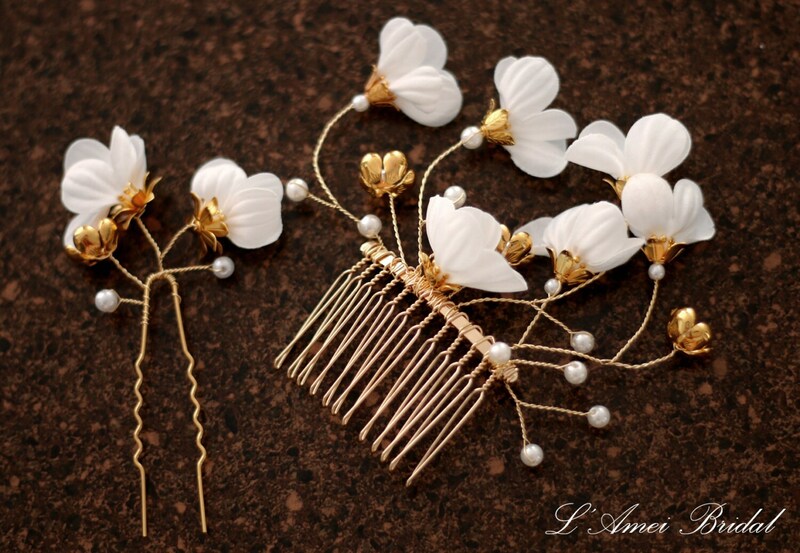 These are versatile and can be slid into your hair anywhere to decorate and enhance its style. 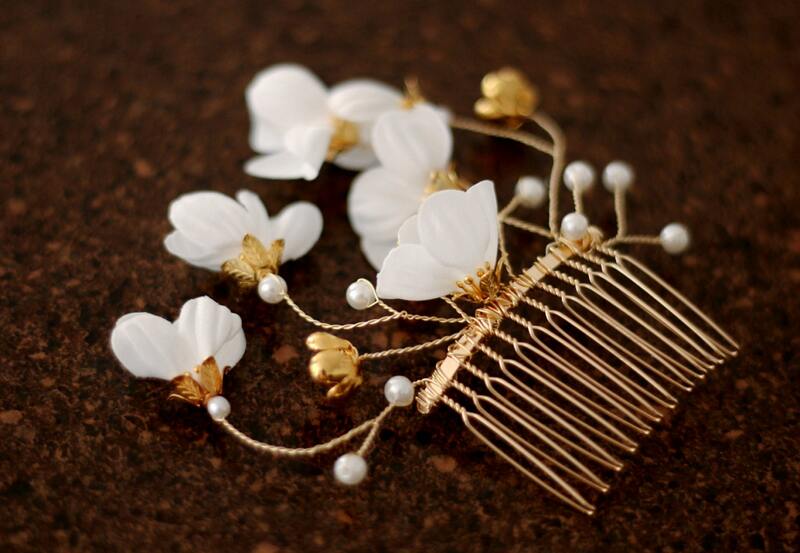 The larger flower is soldered to a comb, the smaller is soldered to a bobby pin.